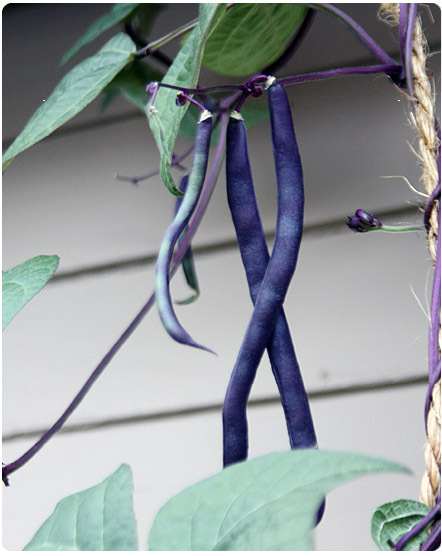 In my attempts to broaden my gardening horizons I tried my hand at starting pole beans from seed, lured in by the appeal of an Italian heirloom variety called Trionfo Violetto. Last year my seedlings got hijacked by some greedy rabbit or squirrel but this year, I have four strong plants. The first round of my purple beans was finally ready this week and they are a thing of beauty. Something about eating richly colored purple beans is just that much sexier than everyday green beans, don’t you think? 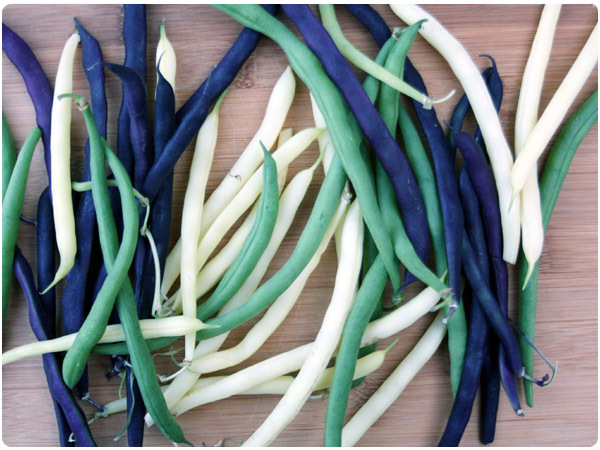 Since my first picking had enough for a little over one serving, I happily snatched up some extra green and yellow beans at the weekend farmer’s market, already imagining the gorgeous Mardi Gras-like mix that would appear on our plates. 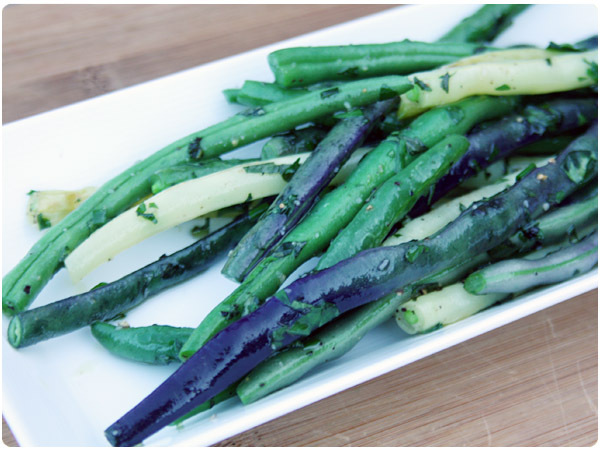 This recipe is so simple that it feels like a sham to even call it a recipe but may be my favorite way to eat green beans. The combo of freshly picked beans and bright herbs tastes like “garden” in all the best ways and why mess with that? Wash and trim ends from green beans. Add beans to saute pan and drizzle with olive oil. Saute on medium heat for 5-7 minutes until beans are tender and just beginning to blister. While sautéing, season with salt and pepper. When beans have 1-2 minutes left, add chopped herbs. Serve warm. Love, love, love the color! Curious, did they have a slightly different taste than the standard green bean? Beautiful! Looks like the ideal way to get kids to eat veggies!